I talked about my NYC trip more generally here, but I wanted to do a separate post specifically about the accessibility of the city. I've been there enough times now that I feel like I have a good idea about how accessible (or inaccessible) the city is - at least from a tourist's point-of-view. I'll start with a positive - so much of New York City is walkable, a most of the sidewalks do have curb cuts. If you plan out your trip carefully, you can easily spend a weekend in the city, going to shows, Central Park, the Empire State Building, restaurants, and bars, all without ever having to get on the subway or take a taxi. The downside of this, though, is that it limits your explorations to a few square miles, and the reason that I suggest walking is that the subway is very inaccessible. It's not completely inaccessible - there are some stations that have elevators - but those stations are few and far between, and the elevators are often broken. This means that you might spend an hour or two researching accessible stops, and carefully planning out a trip, only to get to the station and find out the elevator isn't working at the moment. Also, the accessible entrances are often in a totally different block than the regular subway entrances, and you have to navigate an underground maze to find the platform that you're looking for. I should mention that NYC does now have wheelchair taxis, but I haven't gotten to try out this option yet. These taxis can only accommodate one wheelchair at a time, and since my whole family travels together, we'd have to get two taxis so that my sister and I could each ride on - this would get expensive quickly! We have had good experiences taking the buses, though - I can't speak for every bus driver and every bus route, but the driver we had was very knowledgeable and helpful with the wheelchair tie-downs. There are so many hotels in NYC, and a lot of them do have accessible rooms or suites. We generally tend to stick with hotel chains, rather than boutique hotels or AirBnBs - it's much easier this way to request specific accessibility features, and to know what you're getting. All hotel rooms in NYC are small, though, as are the bathrooms - having an accessible room is key to having the space needed to get a wheelchair in and out of a hotel bathroom! This most recent trip was disappointing in terms of accessible restaurants. 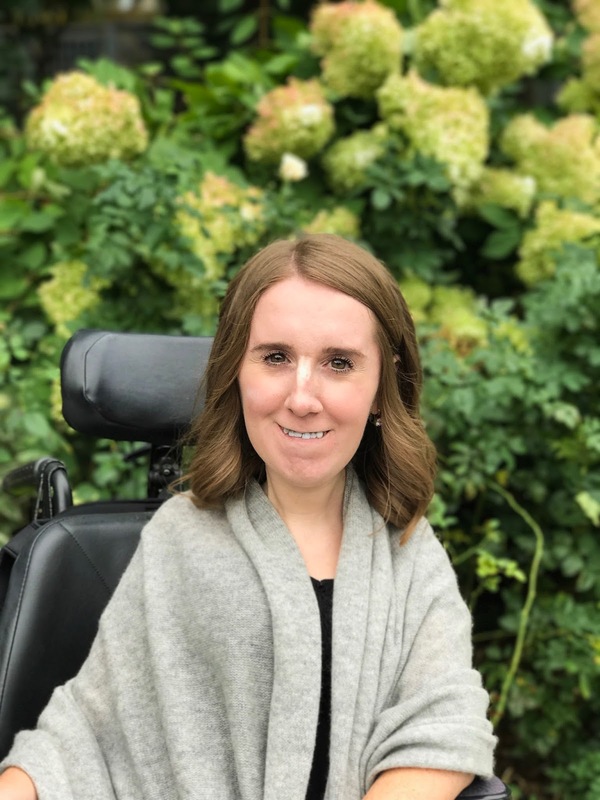 I had made a reservation at Tavern62 by David Burke through Open Table, and I had made sure to note in the online form that there were two wheelchairs in the party. However, when we got there, we found out that the restaurant wasn't actually accessible. The sommelier who we spoke to kept saying that they didn't know, and what a shame it was that we couldn't get in. What's most frustrating about situations like this is that it's not just a shame, it's actually illegal under the Americans with Disabilities Act. It also put a real damper on the rest of our night - we then had to walk around the city on a Saturday night, in the rain, looking for a restaurant that could accomodate a party of six people at 7:30 PM. Even more frustratingly, in our attempts to find a new place to eat, we found at least two more restaurants that were also inaccessible. I still do love traveling to NYC, but I make sure to be realistic when I'm planning my trip. I stay within one borough (preferably, within one or two neighborhoods!) and plan everything carefully!